The advantages of trading with high leverage brokers can make the mouths of even the most experienced traders water. The sheer unpredictability with which positions emerge and the appeal of massive gains from relatively minimal capital investment make it an exciting world to do business. But just as the gains are sweet, trouble is real when trading with high leverage forex brokers. In fact, there have been rising calls amongst international regulators looking to clamp down on the less savvy consumer. This is to stop traders from investing their life savings without a comprehensive understanding of the pros and cons of this intricate and potentially high-risk investment strategy. That said, here is a comprehensive list of the pros and cons of trading with high leverage forex brokers. 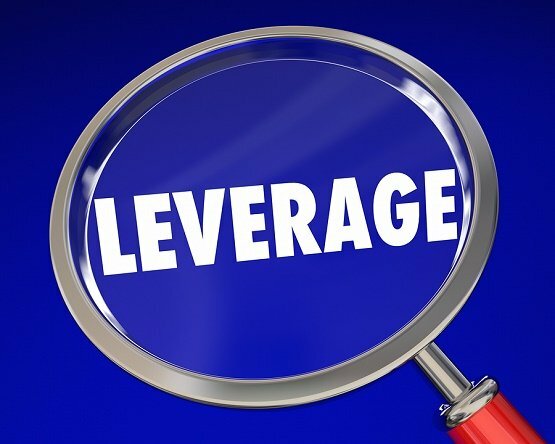 Before we delve into the pros and cons, it is worth explaining what leverage is. Leverage is a service offered by forex brokers. It allows FX traders to place orders that are significantly higher than their actual deposit. This, in turn, helps them achieve higher profits in the market. In the same way, when using leverage, the traders risk losing their deposit faster. The first and most obvious benefit of trading with high leverage forex brokers is that it earns you more money for less effort. Regardless of the nature of the instrument being traded or whether you are staking a small or large amount, the key role of high leverage brokers is to increase your profit by multiplying the stakes. Although the same effect could be achieved by investing more capital in each position, leverage works to ensure it is a step ahead in artificially boosting your available capital, usually by hundreds or even a thousand times. In conjunction with the point above, high leverage forex brokers give you the ability to earn high profits per transaction, naturally increasing the efficiency with which you are using your capital. For instance, if it takes you a week to generate $100 with an unleveraged position, leveraging it up means it will take a shorter period to deliver the same results. In essence, this means that your capital and revenues will be freed up sooner and can be reinvested more times to deliver the most significant and fastest yields possible. A few years back, only the wealthy could make a profit through forex trading. This is until the introduction of leverage which allows anyone to do it. Leverage allows traders to start trading without having to provide large amounts of funds. Another important benefit of higher leverage forex trading is its ability to mitigate against low volatility. A volatile trade is one that delivers the highest profits. Unfortunately, due to the cautious nature of forex market traders, volatility tends to be at the lowest end of the scale. High leverage mitigates this by offering larger profits from smaller transaction sizes. High leverages allow traders to capitalize on even the smallest degrees of movement in market pricing. High leverage FX brokers are the true double-edged sword. When they work for you, they really work for you. But when they turn against your position, trading with them can do some serious damage to your finances within the blink of an eye. Therefore, it is important that as a trader you also understand the disadvantages of trading forex with high leverage brokers. The main disadvantage of using high leverage brokers in trading is that it carries a high amount of risk by paving the way for heavy losses. The goal of leveraging is simply upping your ante so that you are essentially playing with more money. Hence, when the games are up and done, you keep huge profits but also bear the losses. High leverage can end up costing you a lot more than you bargained for, especially when your positions inevitably head south time and again. It is important to know that the higher the leverage you are trading with, the larger your chances of profit and loss are. When trading forex, it is crucial to understand that leveraging automatically builds a liability that must be met by your account by the end of the day. Regardless of whether a transaction is up or down, or how many additional costs you have covered at the end of the day, the basic cost must be met and will automatically be applied to your account. This means that by simply entering into a position, you are by default handicapped since you will need to meet the automatic liability of the leverage portion at the close of the trade. Even if the transaction eventually trends towards zero, the leverage amount will still be owed and must be paid before you can move forward. Any leveraged trade earns a higher cost. The funding applied to your position must be paid for in terms of interest. Whenever you leverage your transaction, you are essentially borrowing money from your broker and will be required to pay with interest. This interest is calculated and applied daily depending on the rates set by your broker. Note that the higher the leverage amounts in the trade, the more interest you will incur and the commission the broker will charge to open the contract. There is also the ever-present risk of falling below the margin requirements set by your broker. The margin call is the set percentage of any transaction size you are required to fulfill in terms of your own capital. If at any time you fall below that threshold, you can expect your brokers to prompt the margin call, which automatically liquidates your portfolio as far as meeting your obligations is concerned. This could mean that any standing positions that could have run on to deliver massive profits are closed out early in addition to settling losing positions that may never recover. When managed well, trading with high leverage brokers can be a successful and profitable move. Just make sure to never use high leverage if you are taking a hands-off approach to your trades.